Our community small group from church did this study together this fall, and it was excellent in every way – from the “homework” to do on your own each week to the DVD we watched together and discussed each week. We were challenged to see how faith in the life, death, and resurrection of Jesus Christ should make a difference in our hearts’ affections and attentions, resulting in a changed perspective in our work so that we would make noticeable, positive differences in our neighborhoods and cities. 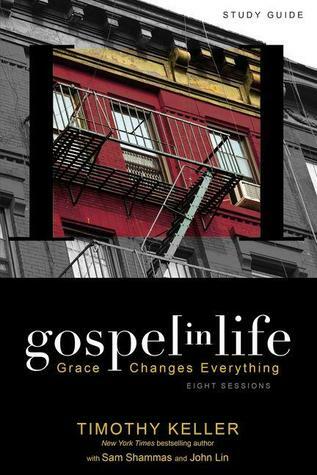 Keller began with the thought-provoking idea that as much as our cities need the gospel, we Christians need the city in order to more deeply and fully live out the gospel in our own lives (through meaningful engagement in the issues of our city, especially regarding mercy and justice). Well worth a read! This book talks about ways to be engaged in social justice and pursuing less – rather than the “more” I assumed I’m entitled to when I live by the American dream. 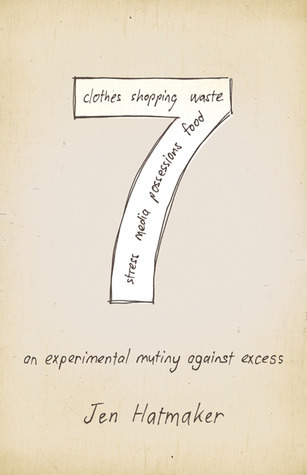 Hatmaker takes readers along on her journey through seven radical experiments of “less is more” including these particularly hitting-close-to-home areas for me: clothing, waste, spending, and technology. I wish I could say that I’ve continued to live up to these ideals she discusses, but I haven’t. What I have started is being mindful about small choices in all areas, and to begin considering how to make “less” on earth translate into “more” for the kingdom of heaven. I probably should re-read this one every year to be shocked out of my comfort zone and reminded of a bigger perspective. Jesus’ kingdom continues in the same manner it was launched: through humility, subversion, love, sacrifice; through calling empty religion to reform and behaving like we believe the meek will indeed inherit the earth. We cannot carry the gospel to the poor and lowly while emulating the practices of the rich and powerful. We’ve been invited into a story that begins with humility and ends with glory; never the other way around. Not many books are laugh-out-loud funny, deeply insightful, and thought-provoking all at the same time. 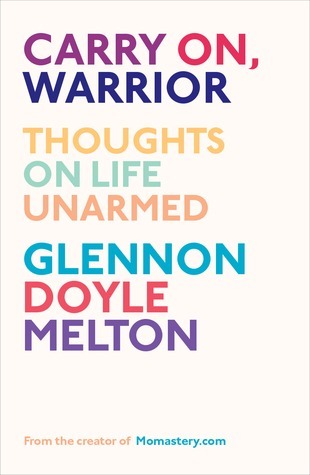 Glennon has done this beautifully in stories from her own life that are real and honest and brave, as she calls her readers to do the same. “We can do hard things,” is a favorite line that I need often, and that I try to give to my daughters, too. Equally important, if not more so, is how she talks about the practice of being kind (in contrast to how we often teach our kids: “be right! at all costs! no matter who gets in your way!”). My friend-in-real-life who’s also a talented blogger, Mary, gave a favorite review of this book on her blog here.